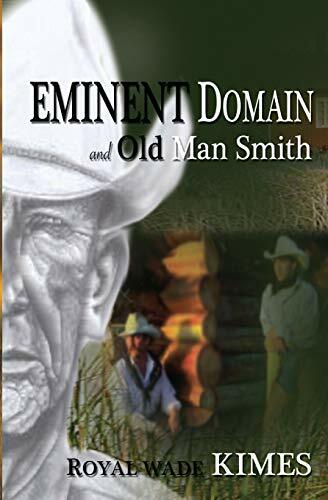 Old Man Smith is sitting on a one thousand acre run down horse ranch that is prime ground. He finds himself in a war to keep it. Both the city of Sedalia Missouri and the Mob in Detroit and New York want it, and both use Eminent Domain as their vehicle to take it. Smith being a World War II Veteran and a sharp shooter in the war is no stranger to war. The Tobin boys who grew up around the old man have their own ranch and side with Smith. Ben Tobin is standing behind Old Man Smith while he's looking towards the city of Sedalia and he says to him. "Ben, I've never been no hand with words, I'm no politician. The only thing I was ever real good with was a gun. I'm just going to fight 'em with what I know. Yeah, Ben, I'll be waiting on those hi-tech sophisticated sunzabitches." The greatest generation in American History has no back down to him, and his principals and values will not waver or bend.Before it's over the eyes of the nation and the world would be on Sedalia Missouri. Old Man Smith is full of surprises and just when you think you have it all figured... well, not so fast, maybe not. Royal Wade Kimes has five published novels, four of which are in audio. He is the recipient of two Will Roger's awards as well as a Blue Flame award for his "Dixie Burns" short musical film for small screen. He has written and worked with such names as Sheb Wooley, Eddy Arnold, Clint Eastwood and more. Royal Wade's writing technic derives from his boyhood days as a cowboy. He is the last generation to ride the Arkansas/Oklahoma Border Badlands. His job... keeping the cattle on the Arkansas side of the border. His writing is fresh and makes the reader unwilling to put the book down even for a pit stop.